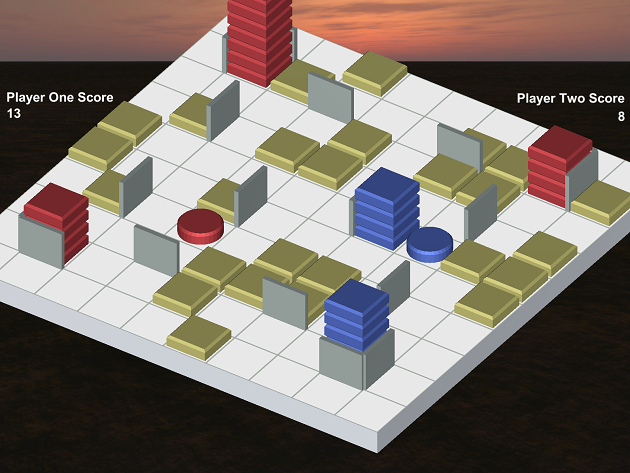 Swipe Risers is a competitive local multiplayer puzzle game where you stack blocks into taller towers than your opponent. Use WASD/Arrow Keys to slide your puck and surrounding blocks. Push blocks into walls to stack them. The first to stack 20 blocks on the board wins. Be aware, you can push your enemies stacks off and even steal them. Good Luck! Such a fun game! It can get competitive really quickly!